It sometimes happens that our musical and sporting worlds collide. This past weekend our family had both a violin recital and multiple games. Something struck me about the different events: the differences between the audience in the seats and the parents in the stands. This is Henry’s second year playing Little League, and by and large, we’ve escaped the curse of the ugly parent in the stand – you know the stereotype, I don’t have to describe it. We had a great team last year and we all – kids, coaches, parents and sibs – enjoyed spending time together…a lot of time…really so much time…at the ballpark. However, that doesn’t stop me from pointing out that at the recital every single member of the audience clapped for every kid…twice. Once as they bravely mounted the stage, and once as they completed their performance, whether that performance was error-free or not. At the game, lots of us in the stands are just clapping for members of our own team. At the recital, none of the parents shouted advice to the performers. We trusted in their teachers, and in their own preparation. At baseball games, I hear advice shouted at each kid as he or she comes up to bat or when the ball comes careening toward them. At the recital, no one groaned when a kid made a mistake…at least not audibly. I’ve heard plenty of groans at the ballfield…when a kid drops a pop fly…or can’t field a grounder…or strikes out. Here’s the thing, parents…and I include myself in this lecture since I am by nature a terrible sport, competitive to a fault. (I held myself to one shouted, “Wake up out there Henry!” at tonight’s game. 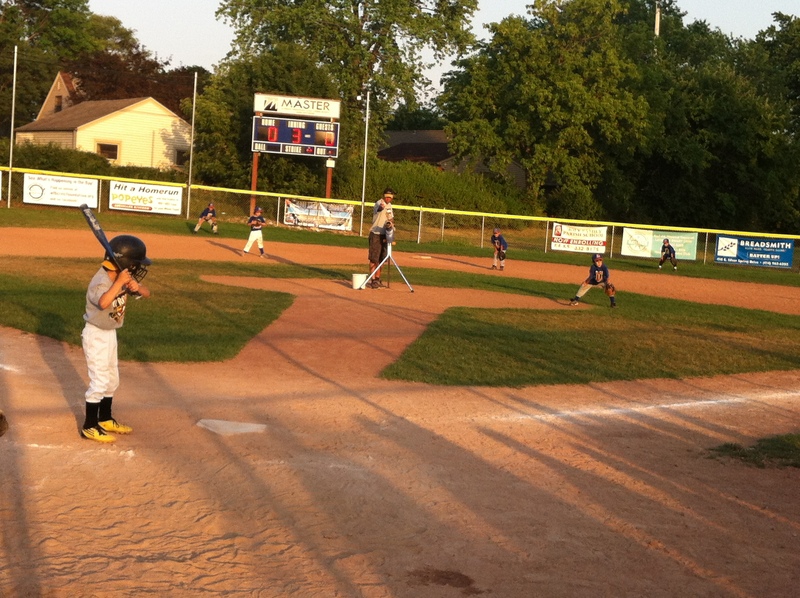 But I had to work tonight, meaning I only saw an inning and a half, so I don’t have too much to brag about.) We’re not setting a good example by that kind of behavior in the stands, that much is obvious. But we’re also not accomplishing anything by it. Our players on the field? Half the time they can’t hear us. They certainly SHOULDN’T be paying any attention to us. That’s what the coaches are for. You know who can hear us though? The parents and grandparents and brothers and sisters of the kids on the other team. So let’s put a lid on it. Take a note from the recital parents and be happy for everybody just getting out there and doing their thing. They’re all awesome. That. was. A W E S O M E ! !